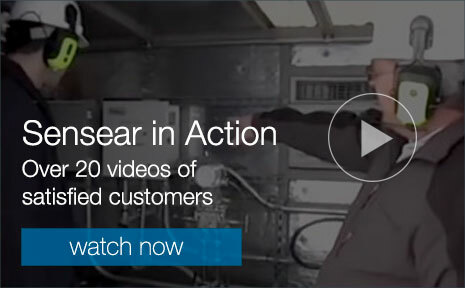 Sensear is a global leader in developing and manufacturing best-in-class digital Communication and Active Listening Headsets and Earplugs for use in high noise and hazardous environments. Sensear's patented SENSTM technology simultaneously enhances speech, and suppresses background noise so that users can verbally communicate, protect their hearing, and still maintain 360-degree awareness of their surroundings in noisy environments such as oil & gas, mining, construction, heavy manufacturing and other industrial workplaces. Sensear's SM1P-Ex & SM1PW-Ex series are intrinsically safe headsets that provide the ability to communicate face to face, headset to headset, radio or phone via a wired connection or Bluetooth®. This headset complies with ATEX and IECEx certifications. An innovative product from Sensear. The ear-plugs for the SM1P-ExDP & SM1PW-ExDP are hard-wired to the headset allowing for dual protection for areas where exposures may exceed 95 decibels. Sensear's intrinsically safe headsets comply with ATEX and IECEx certifications. Sensear's SM1P and its Intrinsically Safe version deliver headset to headset communication without a radio. 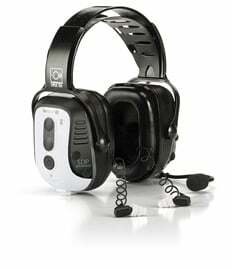 They also have the ability to pair to a radio or a phone via Bluetooth®, a valuable feature, especially for users who listen to music during long work shifts in high-noise environments.